When you need professional onsite document shredding services on a day that is convenient for you in Suffolk County, MA you have an easy solution, call A1 DATASHRED. The pros at A1 DATASHRED have the experience to help you choose the document destruction service that meets your needs taking into account how much you have to shred and how often. We make it easy, just give us a call and we can give you a quote and schedule your shredding service right over the telephone. We offer next day service Monday through Friday so it is always easy to set your appointment for a convenient day for you with A1 DATASHRED. We can come to your Suffolk County home or office to destroy your confidential files. We have a fleet of the most powerful paper shredding trucks in the industry. We can destroy 6,000 pounds of paper per hour. When we arrive your papers are placed into a bin by one of our helpful staff. The bin will then be locked so your information is secure during the entire process. The loaded bin is then rolled to the truck where an automated system will raise the bin and empty your files directly in the industrial shredder and all of your records are completely destroyed. For your business we offer two onsite document destruction services, One-time and Scheduled. One-time Shredding is for our clients that need secure destruction of their business records but just not that often. It could be for any occasional need such as a file purge or you just finally decided to get rid of files that have been taking up space for years. We come to your business location and shred your papers only when you call for it. Scheduled Shredding is for businesses and organizations that regularly dispose of paper records. We provide security bins or consoles to be placed in your office in strategic locations so you and your staff can dispose of your papers into. Then on a repeating schedule A1 DATASHRED will come to your office and empty each container and shred the contents. We offer ongoing schedules such as weekly, bi-weekly, every four weeks or monthly. The same convenient onsite shredding services that is available for businesses is available to come to your home. Every individual has old tax returns, bank statements and monthly billings that they have been holding onto. Those documents and any others that have any of your personal information on them need to be shredded instead of throwing them in the regular trash where identity thieves can have access to them. We will bring one of our industrial document destruction trucks to your residence and shred your documents right in front of you. Document shredding is a security service. Your private information is being turned over to people you may have never met before so how do you have confidence in those people. Only hire an AAA Certified document destruction company.  The AAA Certification means that their policies and procedure exceed the highest level of security established by NAID, the National Association of Information Destruction. Also, all of their staff is background checked, drug tested and sign confidentiality agreements. When you see the AAA Certification you can be confident that the company that is handling the shredding of your documents is doing so in the most secure manner. Give A1 DATASHRED a call today to start shredding right away!